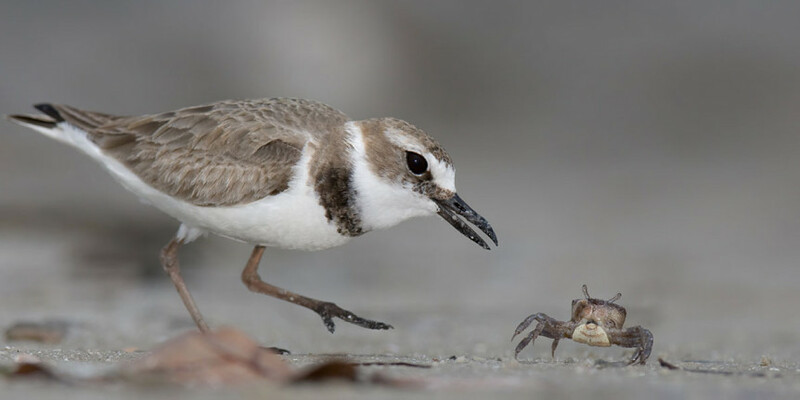 Looking at the Wilson’s Plover, you may not suspect that fiddler crabs are their main food. With that piece of information, you can deduce that Wilson’s Plovers are strongly tied to beach habitats in the Flyway. Unfortunately, their obligate breeding habitat overlaps with highly desired habitat of humans, which causes a number of conflicts. AFSI partners are working to reduce the effects of human disturbance, effectively manage plover predators, and implement plover-friendly coastal engineering projects.